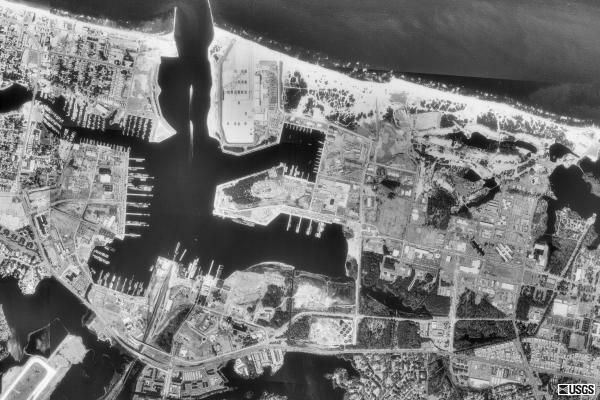 Satellite image of the base. become a major Navy base for the Hampton Roads area, and is a home for the SEALS. GPS coordinates for most of the featured sites! I used WGS 84 except where noted by "USCGS" or "USACE." since many GPS devices allow you to switch between them. This is NOT the official website for NAB Little Creek. This website is owned by American Forts Network (AFN) and is not affiliated with US Government agencies in any way.